Forest Bear Pair Statue Garen Sculpture. 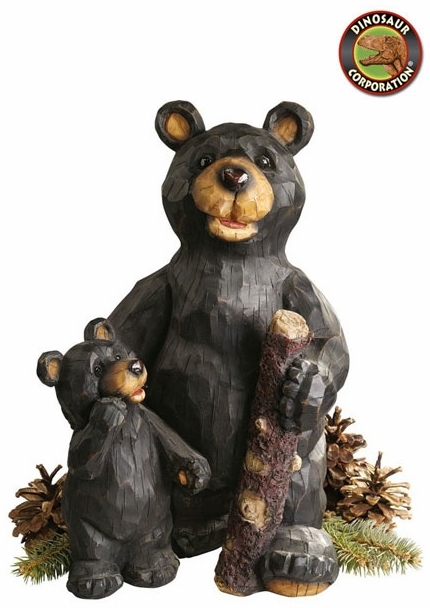 Just back from a romp in the forest, these benevolent bears are ready to welcome your guests to home or garden. Artist William Korn sculpted this work of decorative art with a woodsy, rough-hewn texture, and then cast it in quality designer resin before hand-painting the pair in natural hues. * Size: 9�" W x 7" D x 15�" H.